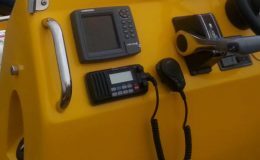 The Short Range Certificate is the minimum qualification required by law to control the operation of VHF and VHF Digital Selective Calling (DSC) equipment on any British flagged vessel voluntarily fitted with a radio. A radio is an important piece of safety equipment on board and it is vital to understand the correct procedures. Prior to the course we will send out a book for you to complete pre-course reading. This will enable you to get the maximum from the course and you should expect to spend three hours on this work. Although indoors for the course you will spend a significant amount of time on our training radios practicing radio calls. Our instructors are keen to ensure you get the information relevant to your water activities whilst still covering the mandatory syllabus. We pride ourselves on conducting the assessment in a friendly and relaxed manner whilst still maintaining the standards required. We run this course at least once a month in Poole. Dates are on our website or contact us for an extra course date if you have a group of four or more people to be trained. The RYA Essential Navigation & Seamanship Course can be taken online or in the classroom. Please visit our section on online courses page for details of the online course. 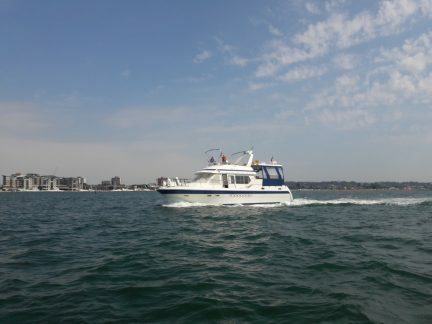 The course is suitable for all boaters, both sail & motor, and whether for leisure, fishing or diving. It is the first theory course in the RYA program. Its a great complementary course for your Level 2 Powerboat, Start Yachting or the Helmsman practical courses. The course pack includes an exercise book, a plotter and dividers and access to a training electronic chart plotter. There is no final ‘exam’ but instead the course is based on continuous assessment. The RYA Dayskipper Theory (shorebased) Course is a great course to increase your navigation and safety knowledge. It is a perfect step on from the Essential Navigation & Seamanship Course and prepares you for more Advanced Powerboat Courses or the Dayskipper Practical course on Motor Cruisers. The course is run in the classroom and we usually run this over 6 days but occasionally we run courses over 3 weekends. The aim of the course is to equip you with sufficient knowledge to navigate around familiar waters by day and to give you the confidence to move onto practical courses. The course also includes an introduction to lights in preparation for a night exercise in more advanced practical courses. 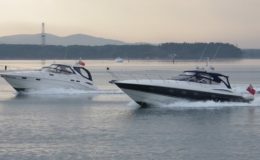 The course is suitable for those who are looking to move onto more advanced powerboat courses, those who wish to take the Dayskipper Practical course, those who are looking to work commercially whether instructing or on coded boats and also for those who wish to study for their own development. It is suitable for both sailors and motor boaters. Our instructor uses a range of boats and is a Commercially Endorsed Yachtmaster Offshore for both Power & Sail. He works as a commercial skipper as well as instructing and sails for both leisure and work including on a youth sail training boat so has relevant examples he can bring into the course. 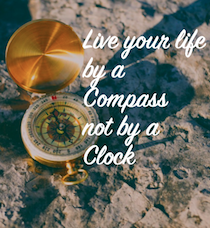 The RYA Coastal Skipper/Yachtmaster Offshore Shorebased Course otherwise known as Yachtmaster Theory is the next step after the Dayskipper Theory, refining the skills learnt and focussing on advanced navigation and meteorology. The course alongside the practical gives you the skills towards undertaking longer passages offshore. The course is run in the classroom and we usually run this over 6 days. 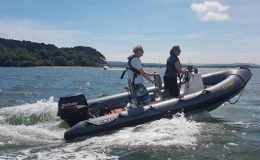 The course is suitable for those who are looking to undertake the Advanced Powerboat Course or the Yachtmaster offshore practical courses and exams. It is suitable for both sailors and motor boaters. Our instructor uses a range of boats and is a Commercially Endorsed Yachtmaster Offshore for both Power & Sail. He works as a commercial skipper as well as instructing and sails for both leisure and work including on a youth sail training boat so has relevant examples he can bring into the course. The RYA First Aid course is suitable for leisure boaters, those participating in racing or safety boating and also for those working on the water as watersports instructors or commercial skippers. Its a one day classroom course with a focus on the particular issues or difficulties that may be faced on the water where help may be at a distance. The course covers the standard First Aid topics but also includes CPR, recovery position, cold water shock, hypothermia, advice by VHF radio and rescue by helicopter. Particular emphasis is given on how to administer first aid in confined spaces and challenging conditions. Who can take the theory courses ? This course is aimed at adults. We are however keen to encourage youngsters so if they are keen to learn please contact us to discuss the best approach for their studying. 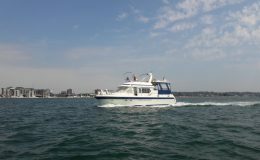 They are usually run from the classroom at the Port of Poole Marina but if you prefer one to one teaching or have a small group we are happy to run the course at your premises. Please contact us for details. When are the courses run and how is availability? We publish course dates on our website but we are able to add extra courses and often have people who will wait until a group is put together that they can join. If you don’t see a course date to suit please contact us and we’ll let you know our plans for the next course. We operate all year and as most of the courses are taught by one of the partners in the business we can run courses at any time. What is the course cost ?